Problem-solving puzzle game for children. Is there a better alternative to Professor Fizzwizzle and the Molten Mystery? Is Professor Fizzwizzle and the Molten Mystery really the best app in Puzzle category? Will Professor Fizzwizzle and the Molten Mystery work good on macOS 10.13.4? 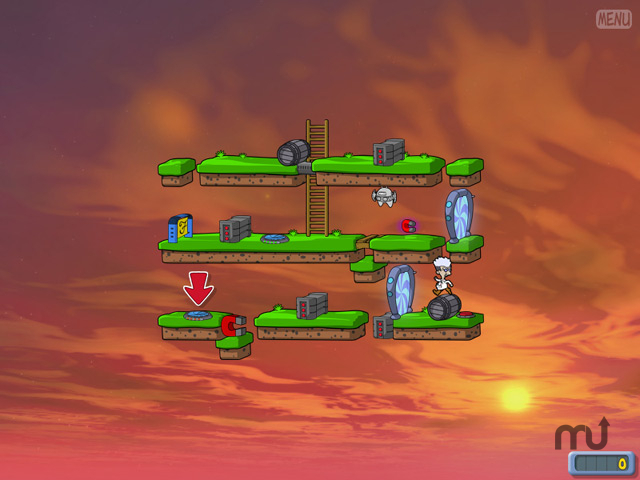 Professor Fizzwizzle and the Molten Mystery is a problem-solving puzzle game for young children and preteens. While on a well deserved vacation, Professor Fizzwizzle's investigation of a strange volcano has landed him in a Molten Mystery! Now it's up to you to master exciting new gadgets, outwit the Bat-Bots, and vanquish a truly cunning villain! Can the professor count on you to help? Professor Fizzwizzle and the Molten Mystery needs a review. Be the first to review this app and get the discussion started! Professor Fizzwizzle and the Molten Mystery needs a rating. Be the first to rate this app and get the discussion started!